8-Bit Girl: Yoshi Inspired Skirt! 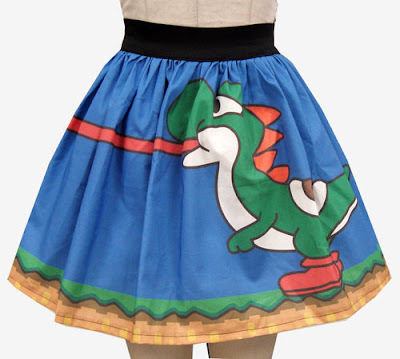 Check out this fantastic Yoshi skirt created by Etsy user Ashley Mertz (username GoChaseRabbits). It's a great skirt that personally I would love to own and wear myself! The skirt is available for £30.43 ($45.99) and is tailor made to fit the measurements for the buyer. You can pick up your own here.